In a world where feminism, equality and empowerment are prominently discussed, what role do our female leaders play? And more importantly, how did these women achieve their success? It’s easy to find a number of websites listing the most powerful and influential people in the world, dedicating specific lists to women. Forbes does an amazing job at compiling such lists and providing a profile of each individual through an overview of her life, influence and accomplishments. But what about looking at what these leaders studied that led them to such accomplishments? Could there be a correlation between education and power? That’s what this blog will focus on: what the most powerful women in the world studied, and how their education helped them get to where they are today. Maybe I won’t be able to answer the question: “Could there be a correlation between education and power?” but I will give you a better understanding of how these women became the influential people they are. Did people around them know or expect them to rise to such levels when they were simply students? Was it all due to innate talent and ability, or fostered by education? Well, of course, success has a lot to do with a combination of personal traits, perseverance, hard work and good luck. However, with the right type and amount of motivation and learning, we all have potential! 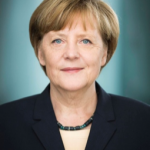 She became the first female chancellor of Germany in 2005. She guided Germany through the 2008 recession and helped sustain the European Union during Brexit in 2016. She has also recently begun to use her power against ISIS. Studied: Physics at the University of Leipzig, receiving a doctorate in 1978. She was the first and only former first lady to run for public office. 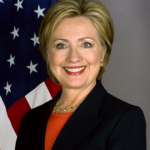 She served as a US senator and the secretary of state, and later became a leading candidate for president, but lost the election to Donald Trump in 2016. Studied: Law at Yale Law School, graduating with honors in 1973. She is an economist who has played an important role in US monetary policy. 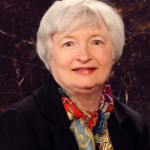 She was the first woman to be appointed Federal Reserve chair in 2014. Studied: Economics at Brown University (bachelor’s degree) in 1967. PhD in economics at Yale University in 1971. 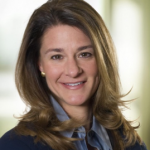 She established The Bill & Melinda Gates Foundation in 2000 with her husband Bill, and restructured it in 2006 to allocate Buffett’s $30 billion donation to pressing needs: worldwide health, global development, and US community/education. In 2016, Bill and Melinda received the Presidential Medal of Freedom. Studied: Computer science at Duke University in 1986 (bachelor’s degree). 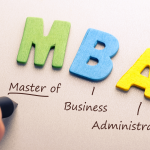 MBA (master’s in business administration), with a focus on economics, at Duke University’s Fuqua School of Business (year?). In 1974 she became France’s first female finance minister. In 2004 she was given the highest award in France, the Legion of Honour, by President Jacques Chirac, who described her as a role model and a charismatic leader. 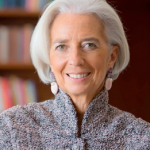 In 2011, she was the first woman to be elected head of the International Monetary Fund (IMF). Studied: Labour Law at the Law School of the University of Paris X-Nanterre, attaining a postgraduate diploma (DESS) and a master’s degree in English. She joined Google in November of 2000 as the vice president. 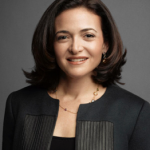 Later in 2008, she became Facebook’s chief operating officer and in 2012, she became the first female member of the board of directors. She’s a best-selling author of her book Lean In: Women, Work, and the Will to Lead, after which she founded Lean In, a nonprofit to support women’s empowerment. Studied: Bachelor’s degree in economics at Harvard. She then attained her MBA at Harvard Business School, graduating with distinction in 1995. She joined Google as the 16th employee in 1999, where she controlled all marketing and commerce. 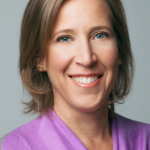 In 2006, she encouraged Google’s $1.65 billion acquisition of YouTube, which is now worth approximately $90 billion. In February 2014, she became the CEO of YouTube. Studied: History and literature at Harvard University, graduating with honors in 1990. Then she pursued a Master’s of Science in economics from the University of California, Santa Cruz in 1993 and an MBA from the UCLA Anderson School of Management in 1998. She began her career at P&G in 1979, after which she moved on to Hasbro, where she was responsible for the famous toy Mr. Potato Head. She then left Hasbro to become the CEO of eBay in 1998, resigning in November of 2007. 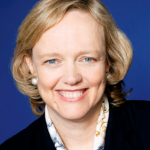 She joined HP’s board in 2011 and was soon named CEO. She was criticized for making the drastic decision to split HP into two companies. 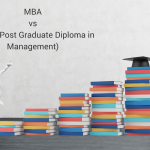 Studied: Bachelor’s degree in economics at Princeton University and an MBA at Harvard University. Amazing, isn’t it? Learning, writing, reading and hearing about such inspiring individuals is exciting. It proves how much one single person can influence and make a difference in the world with the right kind of attitude, education, and, of course, good luck. So what can we learn from these amazing women? In other words, what do they all have in common? Is there an underlying source of power that we can understand from these eight life stories? It is undeniable that education alone was not what led these women to their existing status. However, it sure gave them the foundation from which to grow, gather knowledge, and develop important skills. Often times, when we read a piece of text, whether it is an article, a book, or a blog, we each tend to learn something different, as if we were reading completely different texts. We all focus on a specific part, a particular sentence, picture or idea, and interpret it in our own unique way. Why is that? Well, that’s simple. We are all distinct people, with a unique bank of collected memories, experiences, ideas and perceptions. This is what’s amazing about our world: we all see it through a different lens. Why am I telling you this? I can conclude by telling you what the purpose of the list was, but at the end of the day, you will only remember what was most interesting and novel to you. We are so used to being told things, that we often forget to be critical, reflect, and ponder on our own. Maybe that’s what these women understood best. So, I want you to think for yourself and take from this blog whatever it is that speaks to you most prominently. 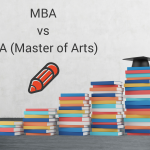 THE ROI OF A MASTER’S DEGREE – IS IT WORTH IT?